The Legend of White Snake <新白娘子传奇> starring Alan Yu (于朦胧) and Ju Jingyi (鞠婧祎), which was slated for a March 27 premiere, has already been pulled from broadcast. 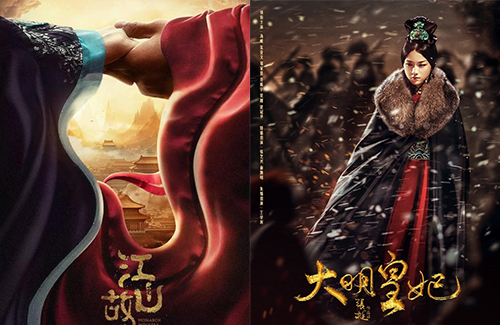 Highly anticipated upcoming historical dramas such as Zhang Ziyi’s (章子怡) debut TV drama Monarch Industry <江山故人>, Tang Wei’s (湯唯) Empress of the Ming <大明皇妃·孙若微传>, Yang Mi’s (杨幂) Novoland: Pearl Eclipse <九州·斛珠夫人> and Dilireba’s (迪丽热巴) Eternal Love: The Pillow Book <三生三世枕上书> are all affected. These restrictions on period dramas are getting out of hand. What exactly is the reason behind the constantly added restrictions? distorting people’s understanding of what imperialism and dictatorship really means is…. @littlefish where on soompi did you read that? i find that really hard to believe. all shows delayed by 2 years?? Chinese producers should focus on other genres that’s still lacking in quality i.e. modern. Too much of ancient dramas will make it bland and boring eventually.